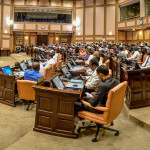 The parliament’s public accounts oversight committee has launched an inquiry into corruption cases under investigation since 2008, including the Maldives Marketing and Public Relations Corporation corruption scandal. 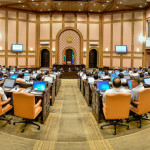 The parliament’s public accounts oversight committee (PAC) has launched an inquiry into all corruption cases under investigation since 2008 following a call for an inquiry into a historic tourism corruption scandal that has embroiled the Maldives’ ruling class. 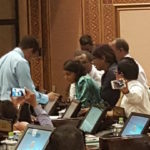 Jumhooree Party MP Abdulla Riyaz lodged a complaint with PAC after the ruling Progressive Party of the Maldives-dominated parliament rejected motions to launch a parliamentary inquiry into the embezzlement of some US$80 million from tourism leases. A five-member subgroup of the powerful committee, mandated to look into misuse of public funds, said Tuesday that it would subpoena documents and information gathered by state institutions on all corruption cases since 2008. 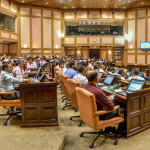 The committee, which comprises of four ruling coalition MPs and one opposition MP, said it will also identify measures taken by state bodies in line with recommendations made in audit reports. 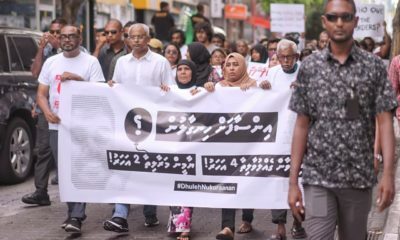 But the group decided not to seek information from the watchdog Anti-Corruption Commission and the police on the Maldives Marketing and Public Relations Corporation case, contending that it could hamper the ongoing investigation. 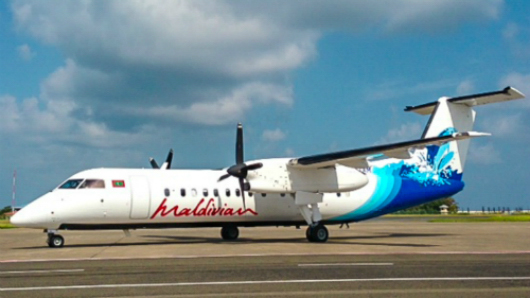 The theft of nearly US$80 million from the state-owned tourism promotion company – exposed in a damning audit report released last month – was unprecedented in Maldivian history. 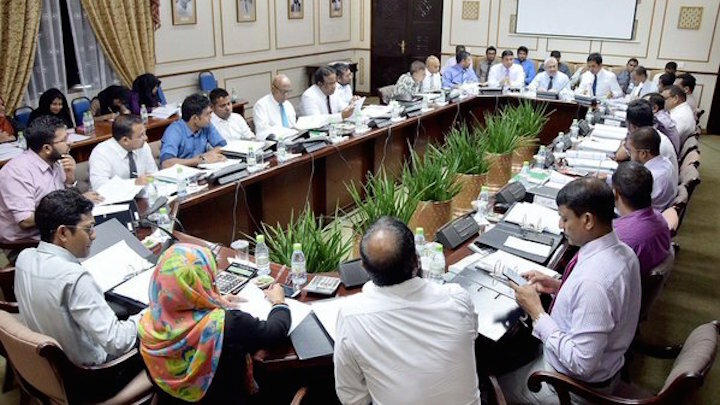 The corruption scandal has embroiled President Abdulla Yameen, ministers, and MPs from both the opposition and ruling parties. 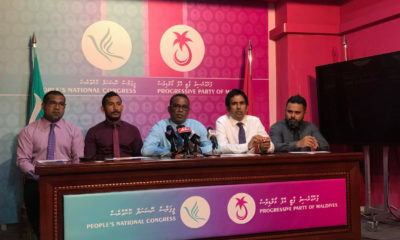 Speaking to The Maldives Independent today, Riyaz criticised the committee’s composition, saying that he does not believe MPs who have conducted transactions with MMPRC could conduct a thorough investigation of the matter. 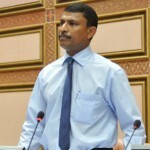 A company linked to PPM MP Riyaz Rasheed, who is heading the PAC subcommittee, was alleged to have received an island without due process, a claim the MP for Vilufushi has denied. The opposition Maldivian Democratic Party has also alleged that Rasheed, who is also the PPM’s deputy parliamentary group, may have received some US$300,000 from stolen funds. Leaked bank statements of SOF, the company used to siphon public funds, appears to show the amount was deposited into an account under Riyaz Rasheed’s name. Rasheed had previously said the allegations were “nonsense.” Neither the ACC nor the audit office had questioned him yet, he said. He was unavailable for comment at the time of going to press. JP MP Riyaz also criticised the committee’s decision not to seek information from the ACC and police on the MMPRC scandal. 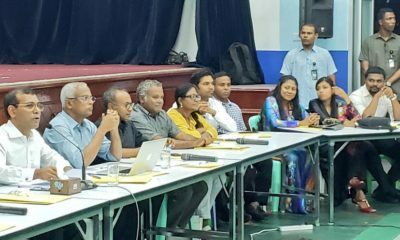 At a committee meeting on Tuesday, MP Ahmed Amir of the government-aligned Maldives Development Alliance said it is of utmost importance to investigate allegations of MPs’ involvement in the corruption scandal. MP Ibrahim Shareef of the MDP meanwhile stressed the importance of conducting a credible investigation into the “grand-scale corruption” and to assess the failure of state mechanisms to “detect” it. 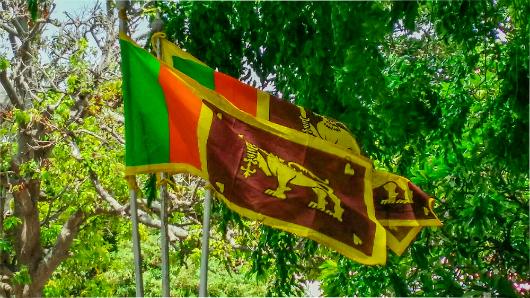 Since the audit report’s release, parliamentary sessions have descended into fist-fights and shouting matches with MPs accusing each other of accepting bribes. A ruling coalition MP admitted to having carried “sacks of money” to opposition MPs as a favour to former Vice President Ahmed Adeeb. 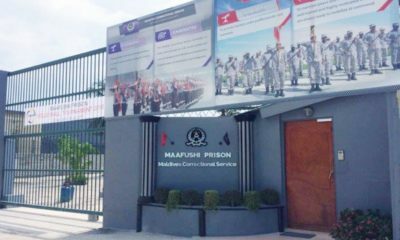 MP Mohamed Ismail later claimed he was unaware that the funds were stolen from the MMPRC. 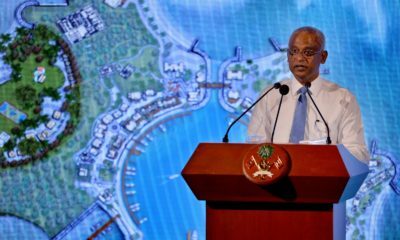 SOF has meanwhile said that it provided a brokerage service to the MMPRC and distributed the funds as requested to the first couple, the PPM, and prominent politicians. 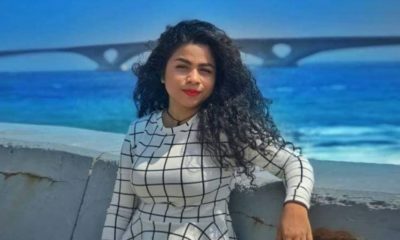 Yameen has sought to pin the blame on his jailed former deputy, claiming he was unaware that cash handouts to ruling party officials and MPs came from the stolen millions from state coffers. In late February, Yameen said that Adeeb had been in charge of managing his campaign funds and had disbursed cash on his behalf “to help” MPs. 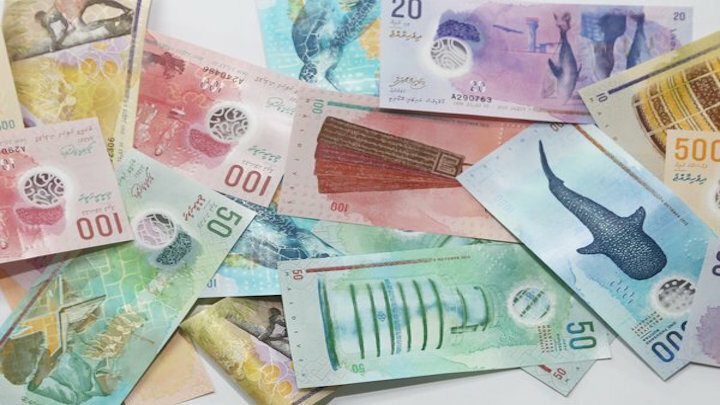 An ACC spokesman told The Maldives Independent that its ongoing investigation into the MMPRC corruption scandal will be broadened to include MPs’ confession of bribery. 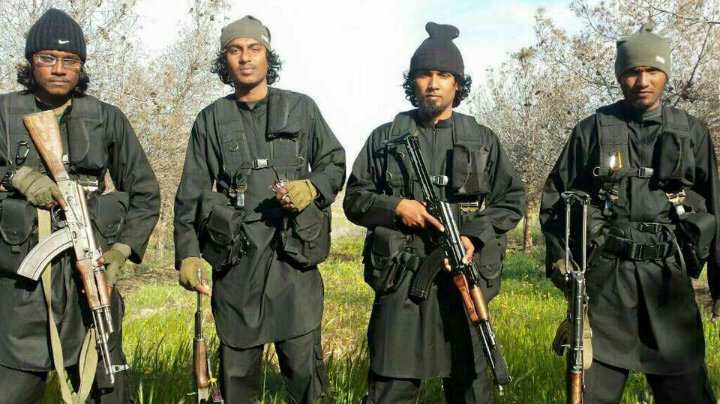 The report is nearly complete, the ACC has said, but declined to reveal a date for the report’s publication. Former Auditor General Niyaz Ibrahim, who first flagged the MMPRC corruption in a 2014 audit report, has cast doubt on the ability of independent state institutions to investigate the scandal. 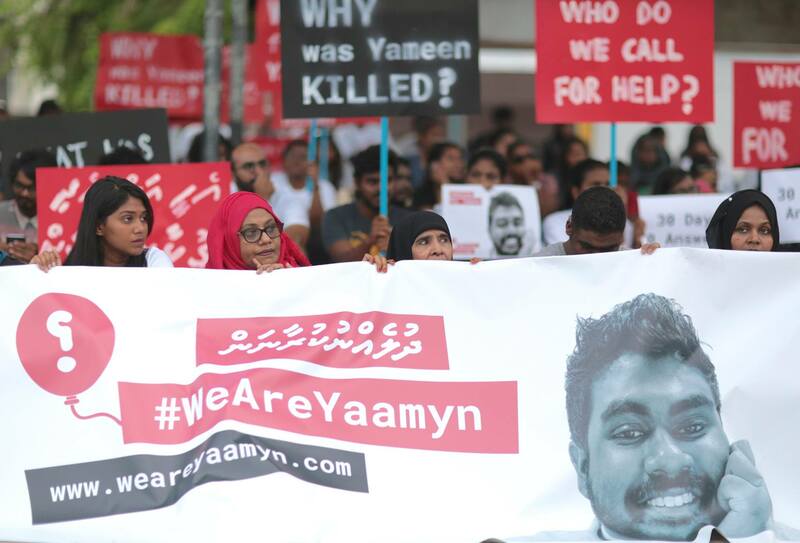 Yameen must bear responsibility for the stolen money, Niyaz maintains, as the president did not take action when he was alerted in October 2014. 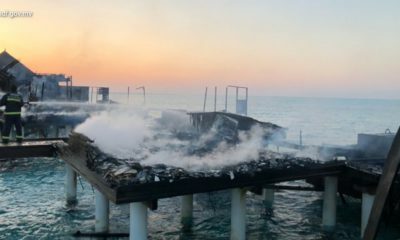 Niyaz also said he believed the stolen money was used to influence the 2014 parliamentary elections, in which the ruling coalition emerged with an unassailable majority.